Let’s skip the trial and error with your website. Your business needs clicks that convert. Now. You’ve hit up Facebook groups for help a few times. You’re looking at plugins and platforms. But you’re asking the wrong questions. It’s not about Squarespace vs Wix. It’s not which shade of green your logo should be. Your website has one job. To make you money. To grow your business. Some will leave you constantly posting in Facebook groups feverishly looking for feedback on why you’re not booking any clients. 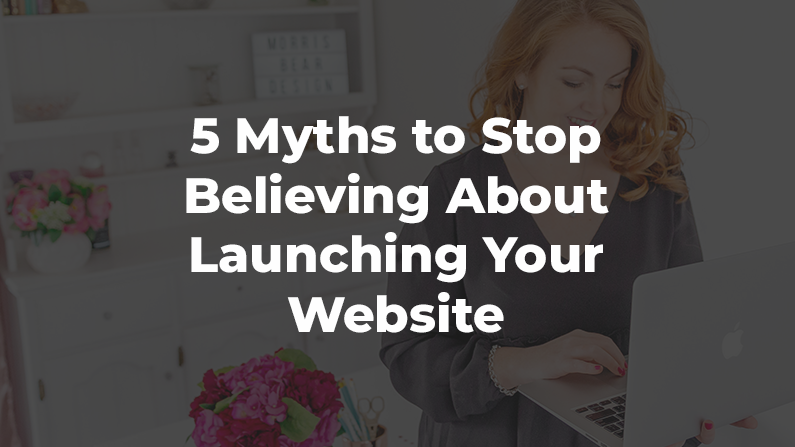 Are you believing these myths about launching your website? 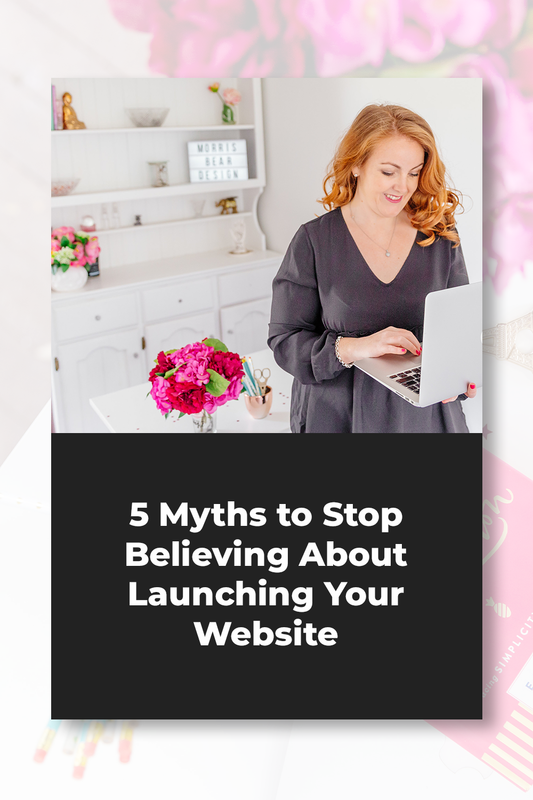 Myth #1: You Don’t need a Website You’ve got lots of Followers on Social Media. Truth: You have no control over your social media accounts and your customers are using it to be “social”. Imagine you walk into a bar. You’re sans kiddos for the first time in forever and a tall, dark and handsome stranger walks over to you. The first words out of his mouth are “I’m running a flash sale for 2 days only”. You’d run out of that place quicker than you can say CREEPER. Social media is perfect for connecting with your audience, speaking their language and communicating value. Social media isn’t for selling a high ticket service. Myth #2: You can DIY and “Make it Work” on a Free Platform. Truth: Your website is your Business’ Biggest Asset. Act Like it. 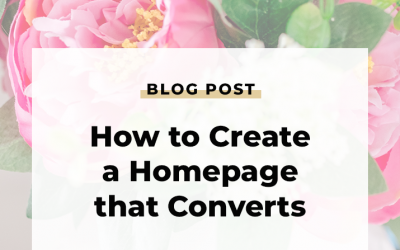 Your website is the key to consistency in your business. It will generate clients for you. Or send them packing. It will grow your audience. Or collect dust. When done right your website is your business’ number 1 employee. The best marketing assistant. The enthusiastic PA. The checkout girl who leaves you feeling warm and fuzzy. Myth #3: You need to spend $$$ on tools every month. Truth: Your website is capable of replacing thousands of dollars in apps each month. My last coach spent over $2500 USD in tools each and every month. On top of a mortgage, internet connection and actually wanting to have a life that’s a lot of cash to create. Your website can replace 90% of them. Pop-up Marketing and List Growth? Included. Online Membership and Courses? Included. Your website = One time Payment. Myth #4: Visitors will buy on their first visit. 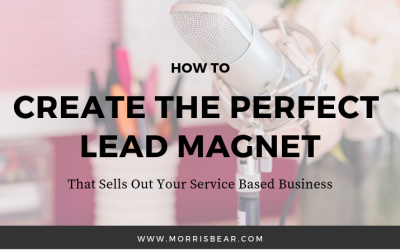 Truth: On average it takes 7+ interactions to produce a sale. One of the biggest mistakes that I see coaches make is not creating a connection with their visitors that allows them to keep in contact. Your clients need to know you. To trust you. To like you. Get to know your clients through emails, retargeting and actually communicating. Start building a community so great you’ll want to go for a wine with each and every one of them. 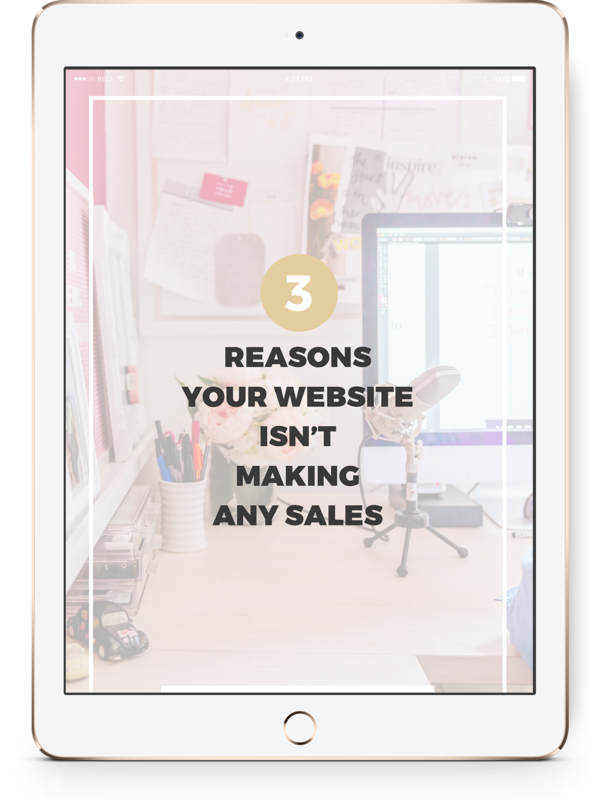 Myth #5: No one visits my Website. Truth: Your clients are finding your website whether you like it or not. Sure, you’re ashamed of your website so you don’t tell anyone it exists. You assume it’s a ghost town. You don’t have analytics so you have no idea. The truth is your clients are visiting your website. Right before they decide to hire you. Spending thousands on a new pair of killer stilettos? What’s the first thing you do? Google for reviews? Google knows everything. It’s like Santa on steroids. And it knows your website exists. And it’s sending those customers who are on the fence about working with you straight to your outdated and clunky website. And they’re hiring your competition. 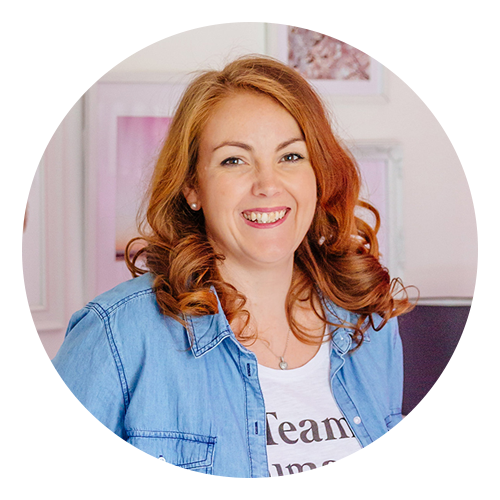 When you perfect your website, you streamline your entire business. Your time is spent doing what you do best. Changing your clients lives. So so true. I think I have an amazing website. It does make sales. Inconsistent sales…but it makes sales. I need it to make many more sales. Im located in the Mallee. We are in the brink of drought and its hurting my business right now. I need to convert more customers Australia wide to save my arse. I cant rely on just locally anymore. They just dont have spare cash to buy the kids clothes that I stock. The drought is awful! Are you getting many sales outside of your local area? It might be an issue with actually being found. Do you have SEO set up? I’d love to see if there are some ways to get the store moving more stock.